It’s never too early to start planning, especially when it comes to next year’s budget. As for that budget, it should include money for online and social media under the communications heading. If it already does include budget for online and social, unless you’re beating all your fundraising goals (online and off line), it should include more money this year. New donor acquisition: Well-run online fundraising campaigns are absolute juggernauts when it comes to acquiring new donors. A recent, informal BWF survey of mostly higher education institutions found that, on average, 40 percent of the donors who give during online ambassador-driven campaigns are new donors. While we haven’t crunched the numbers yet, when it comes to the healthcare examples we know of, that number is even higher. And here’s the thing – we’re not talking about 22-year-old donors who can barely make ends meet …online-acquired donors have higher household incomes, are more educated, and give larger gifts than donors acquired via mail. And, they’re not just kids. 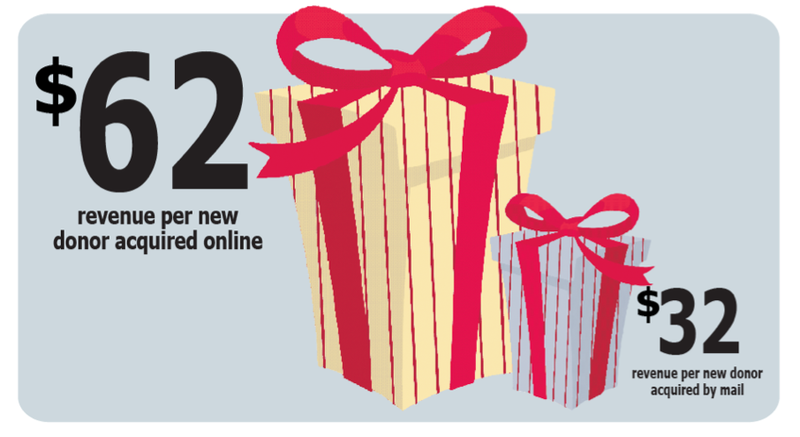 For everyone under age 65, online is now the primary method they use to make their first gift. Stewardship: A good social media content marketing strategy helps donors understand how their gifts make a difference. The more you share that story online, the more their decision to give and give again is reinforced. That’s true for donors at all levels. Good social media content marketing is a major component of modern donor stewardship. But what about stewarding major donors? Online and social media are just too impersonal, right? Not if you don’t want it to be. Check out this wonderful thank you video from Cornell to a generous supporter. Not only does content like this recognize the donor it honors, but that donor can easily share this video with their connections – many of whom are potential major donor prospects themselves. Content marketing is just as, if not more powerful in your major donor stewardship programs as it is for the annual fund. 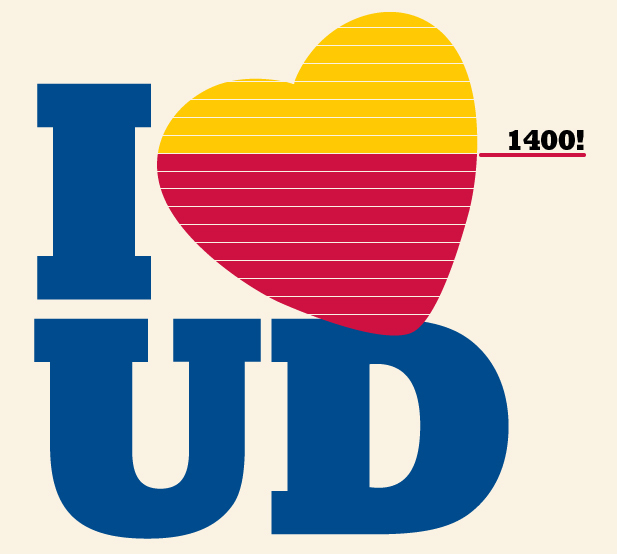 Dayton’s “I Love UD” campaign raised $1.7 million from more than 3,000 donors in one month. You’ll raise money! By now, you’ve probably heard about Columbia University’s back-to-back $6.9 million and $7.8 million 24-hour campaigns. But have you also heard about how the University of Dayton raised $1.7 million in one month through an online ambassador program? …or how Georgetown used gamification to raise more than $500,000 in 27 hours? …or how the University of Massachusetts Amherst exceeded the entire previous year’s worth of student giving in a day and a half? You don’t have to be an Ivy League school to raise big money online. All you need is a smart online and social media strategy that’s connected to a well-planned online fundraising campaign. Now that you know you should must increase your investment in online and social media for fundraising, where should you allocate that investment? Below are three tips that will help you raise more money now and long-term. An online ambassador program: Identify, engage, steward, and leverage your most influential online supporters to boost your online fundraising and awareness-building activity. Use smart tech, dedicated personnel to managing the program, and treat your ambassadors like the valuable volunteers they are… ALL YEAR LONG. Not just leading up to a fundraising campaign. Better online infrastructure: Ease of use is enormous. You must be sure that your online giving process is as attractive, trusthworthy-seeming, and effortless as possible. Give donors the ability to make a gift from where ever they feel comfortable online – from email, on a mobile device, or via social networks like Facebook. Good tech (when coupled with a good communications strategy) is always worth the investment. Personnel to create and manage an online strategy: You need a detailed social media strategy that delineates how your online and social media is going to help you reach your goals. This is not guesswork anymore. There are experienced professionals (and consultants!) who know what it takes to raise more money online. Hire them and build a strategy to help you increase online and social media fundraising in 2014 and beyond! Justin Ware is the director of interactive communication at Bentz Whaley Flessner. Learn more about how he helps clients raise more money online by clicking here. This entry was tagged bentz whaley flessner, budget, bwf, charity, consultant, counsel, fundraising, how to, justin ware, nonprofit, online, philanthropy, social media, strategy, tips. Bookmark the permalink.